We had so many fun adventures in Fiji, but one of the best days we had was island hopping out to Cast Away Island on jet skis. If Cast Away Island looks familiar, it’s because it’s where the famous award-winning Tom Hanks movie ‘Cast Away’ was filmed. Not to be confused with Castaway Island Resort on Qalito Island, Cast Away Island also goes by the names of Monuriki or Modriki Island. Located in the Mamanuca Islands, Cast Away Island is a deserted paradise that looks like a picture-perfect postcard brought to life. 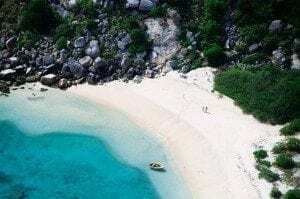 The tiny one kilometre long, 600-metre wide island is completely uninhabited and surrounded on all sides by a coral reef. 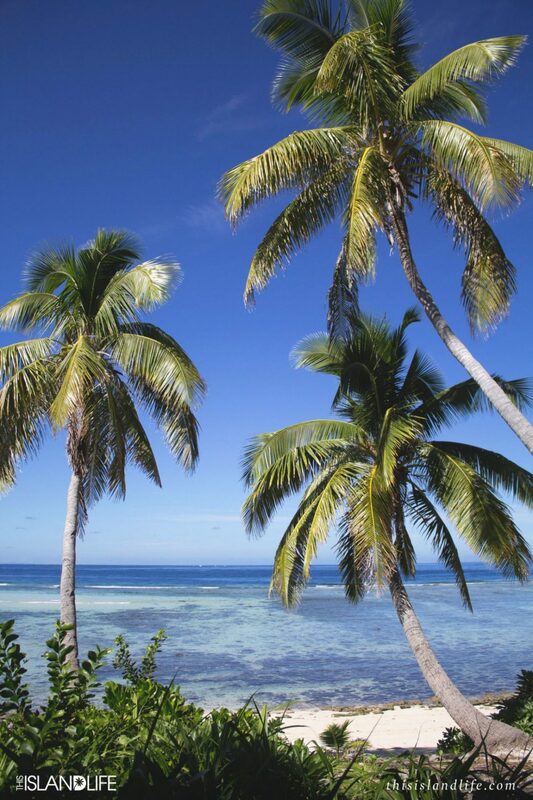 There are volcanic rocks, palm trees, clear lagoons, and beautiful white sand beaches. 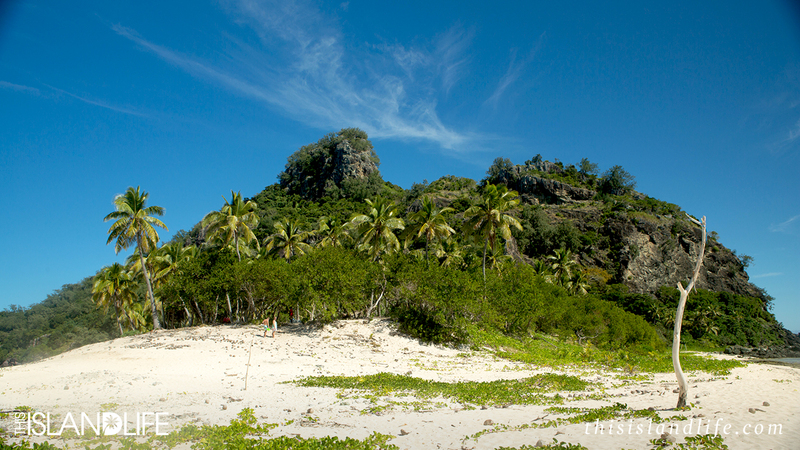 The island is home to the endangered Fiji Crested Iguana and sea turtles that use the soft white sand as their breeding ground. 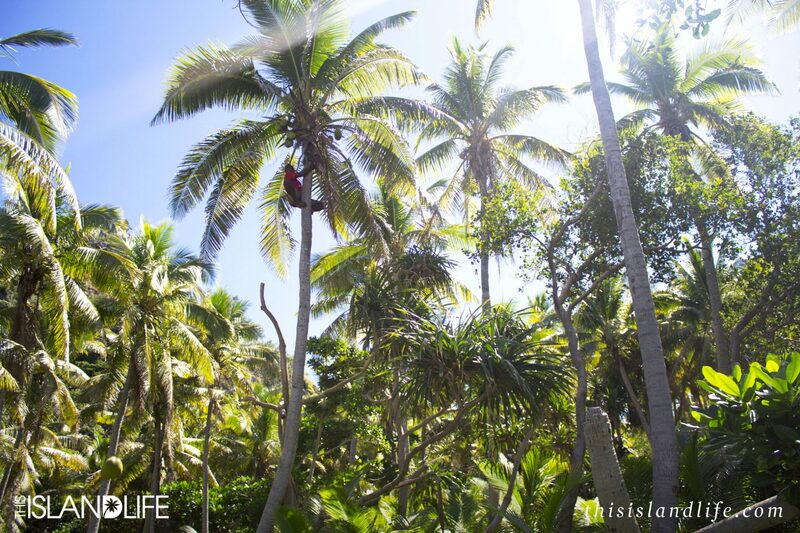 If you’re staying on one of the Mamanuca Islands or on Nadi, Cast Away Island is the perfect day trip. 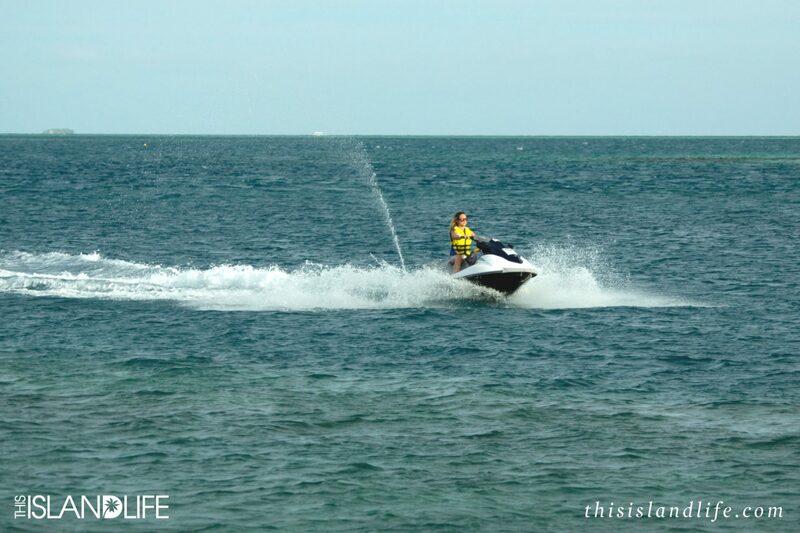 While there are a few different ways to get to the island, we chose an epic three-hour jet ski tour! I’d been on a jet ski a few times, but never out in open-ocean on my own jet ski going at speeds of up to 70 kilometres an hour. As we zipped past idyllic islands and super yachts with the salty ocean spray keeping us cool from the warm tropical sun, it was hard to believe that all this was just a 3.5-hour flight away from Sydney. 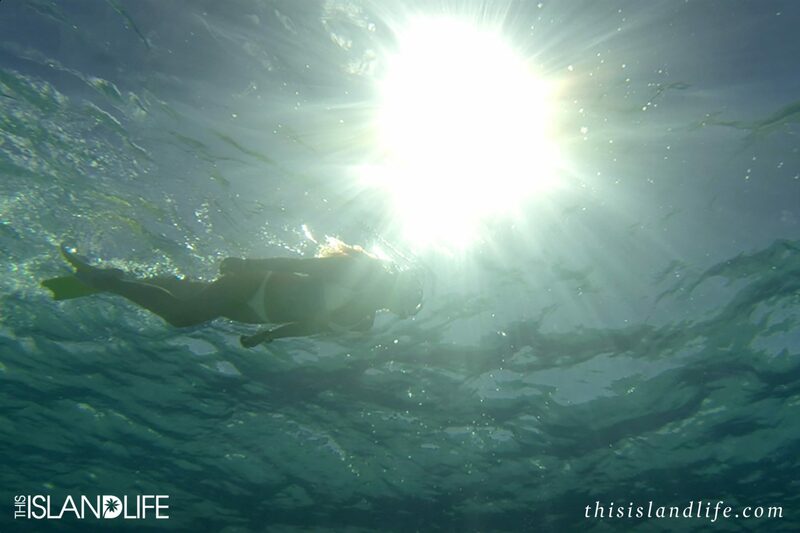 Once on the island we wasted no time exploring the palm-fringed shores above water, and snorkelling the coral reef below the surface. 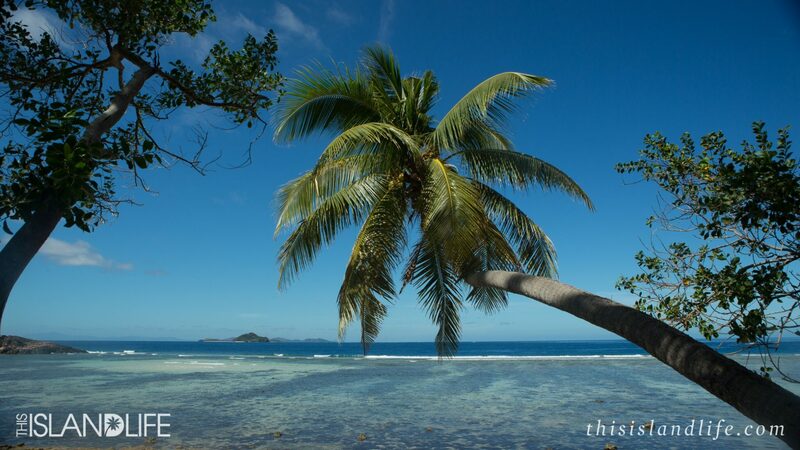 This is definitely one deserted island you won’t mind being stranded on. The ‘Cast Away Island and Cave Tour’ with Jet Ski Island Adventures – a three-hour jet ski tour of the island and surrounding caves. This incredible tour will set you back around AU$375 per person. Details here. 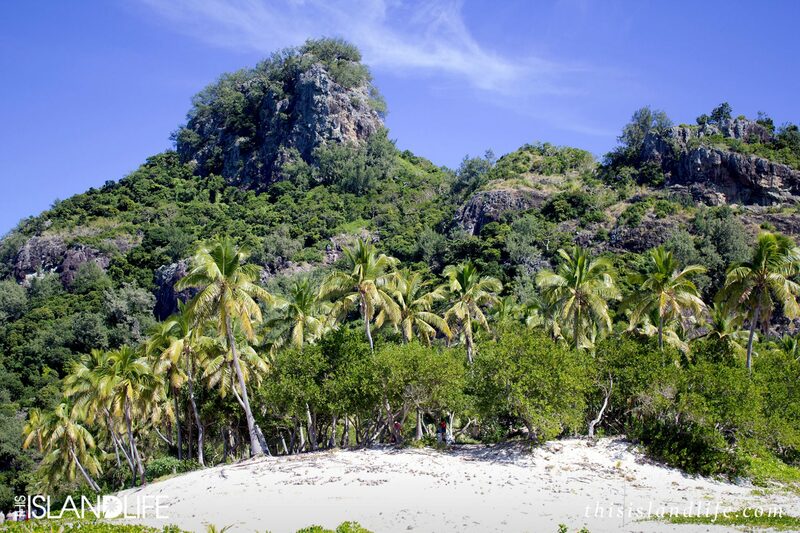 Cast Away Island is located in the Mamanuca Islands of Fiji. 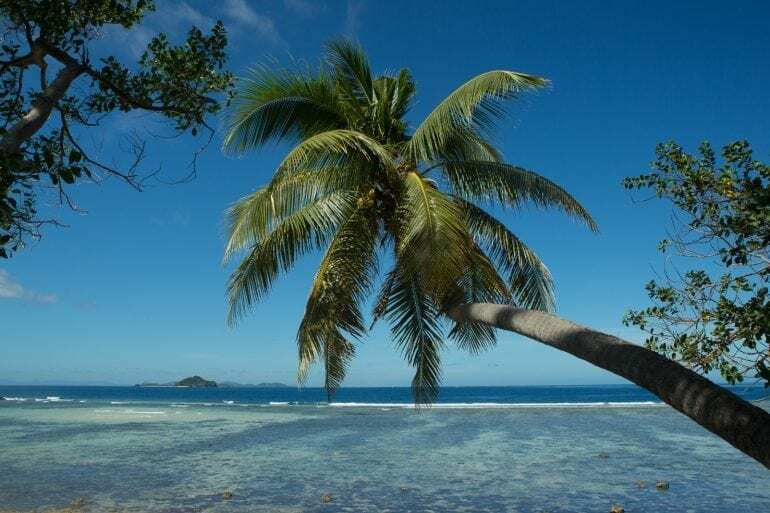 Day tours out to the island operate from most resorts in the Mamanuca Island Group, including the main island of Nadi. We were staying at Malolo Island Resort, so we did our day tour from Malolo Island. We stayed at Malolo Island Resort as guests of Fiji Airways where one bedroom ocean view bures start at around AU$520 a night and go up to around AU$1,220 a night for a family bure, but you can access the island from most resorts in the Mamanuca Island Group, including the main island of Nadi. Details here. Photography by myself and Michaela Skovranova.